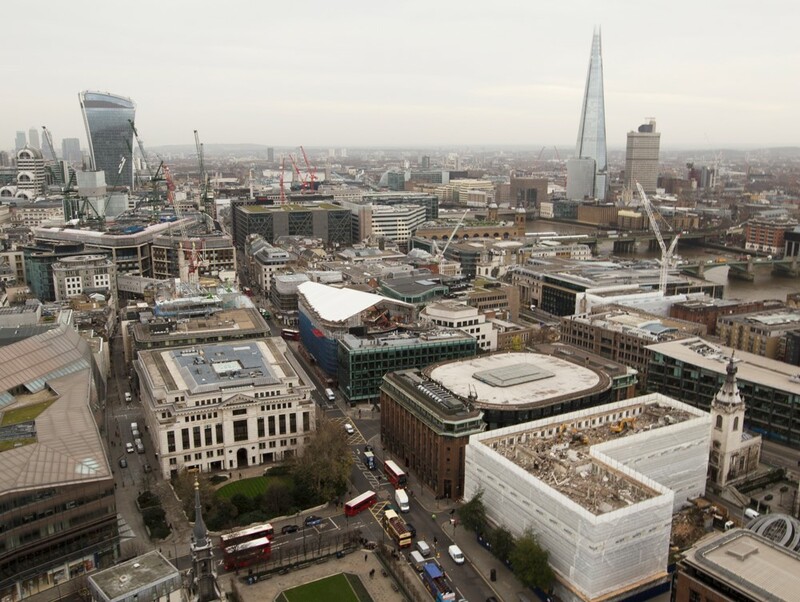 TRAD Scaffolding were successful in securing the contract on 30 Cannon Street – a 24m high, glazed office block located on its own island being overlooked by St Paul’s Cathedral. The scaffolding was built to enable the safe removal and replacement of all floor to ceiling glazed panels from the 1st to 5th floors of the building. 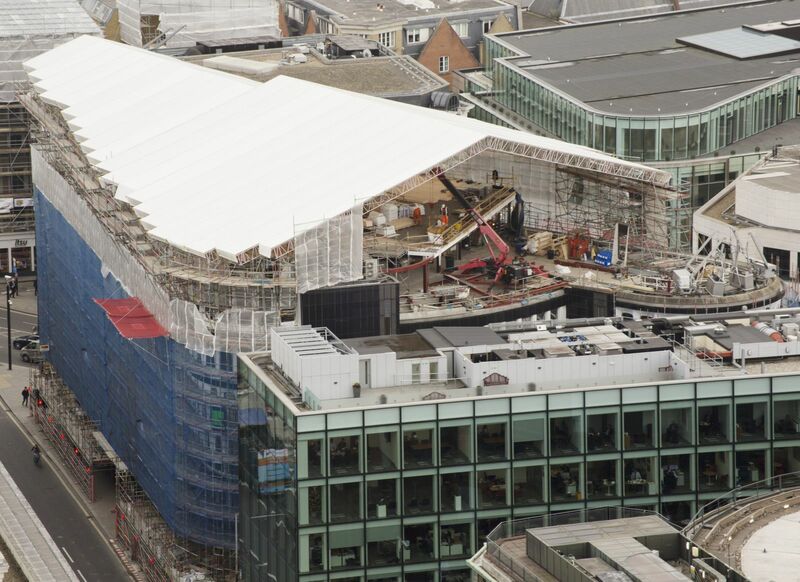 Due to the extremely busy location of this project, TRAD built protection gantries around the entire perimeter of the building and installed a net fan which was raised with the progression of the main access scaffolding, to protect the general public whilst the works were being carried out. 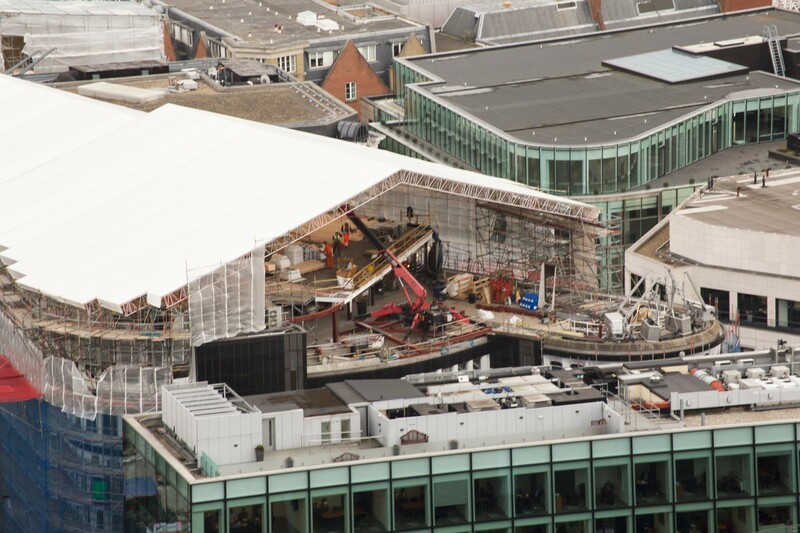 Due to the difficult triangular shape of the building (the roof span started at 40m and tapered to 6m) the project was a perfect fit for our new ALTRIX™ temporary roofing and weather protection system. ALTRIX™ is ideal for demanding environments – and the particular challenges showcased its unique capabilities perfectly. The project has been a great success and we would like to thank Metodi Emilov and his team for their professional approach and perseverance during this difficult project.